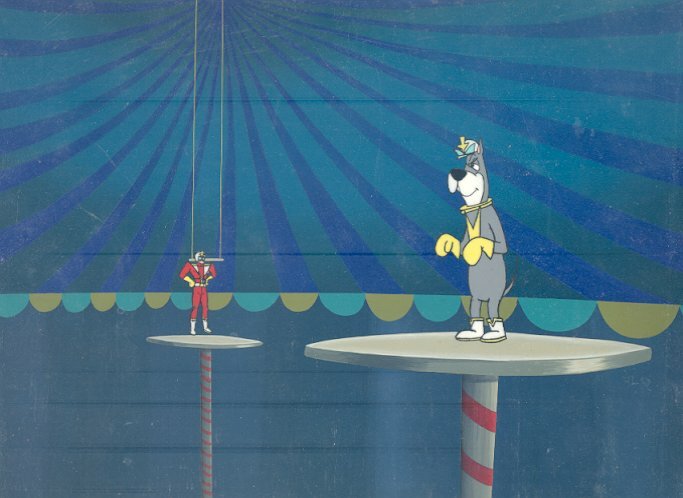 This is a nice cel of Astro with Space Ace on the original production background from the "Astro and the Space Mutts" segment of Space Ace (1981). The untrimmed cels and background measure 10.5" x 12.5" and the image of Astro measures 3.5" x 1.5". The streaks visible in the scan are from the scanner and do not appear on the artwork.